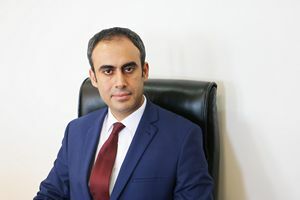 Dr.Ilker Yilmaz is an Assistant Professor at the Department of Accounting and Finance, Dhofar University. He received PhD degree in the field of Accounting and Finance in 2011. Before joining Dhofar University, he taught many courses in accounting and finance at different private universities as part-time or full-time lecturer. He has also an industry experience of more than 10 years, he worked as financial controller and accounting manager. He holds a CPA certificate. He managed the application process of ACCA Learning Partnerhip for Dhofar University and he teaches ACCA courses currently.